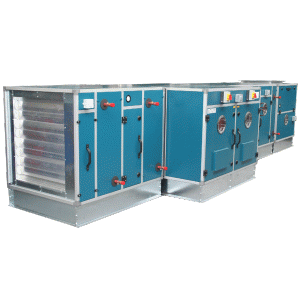 Airclean manufature Air Handling Units to specification design for agents and OEM clients across the UK. Our skilled fabrications division use CAD and CNC punching techniques to build air handling units in sheet steel constructions and the more common aluminium pentapost construction system. Where required we can offer a design and build service for bespoke AHU for a range of applications. 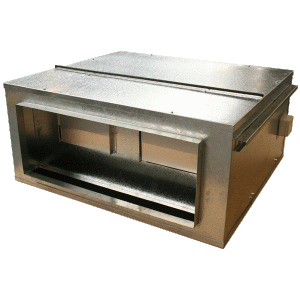 Airclean manufacture twin fan air handling units ideally suited for Toilet Extract Systems where an automatic change over is available should a fan failiure occur. Twin fans can be manufactured for indoor or outdoor use, and can include control panels where required. 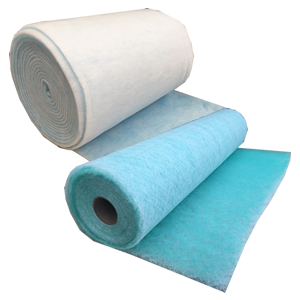 Airclean have built many HEat Recovery Air Handling units for use in restaurants, swimming pools, and shopping centres for many big high street names. Using both heat recovery wheels and blocks, air handling units are designed and built to suit the application and the space, including low profile descreet air handling units. 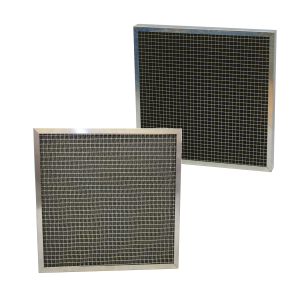 Air Handling Units are typically on 4-6 week lead times depending on work loads. Ancillary products are generally held in stock.